When it comes to the ALEKS program, Juan Diego students, teachers, and school, are not meeting our objectives. There’s an open secret among students, and even faculty, here at Juan Diego: ALEKS is for sale. 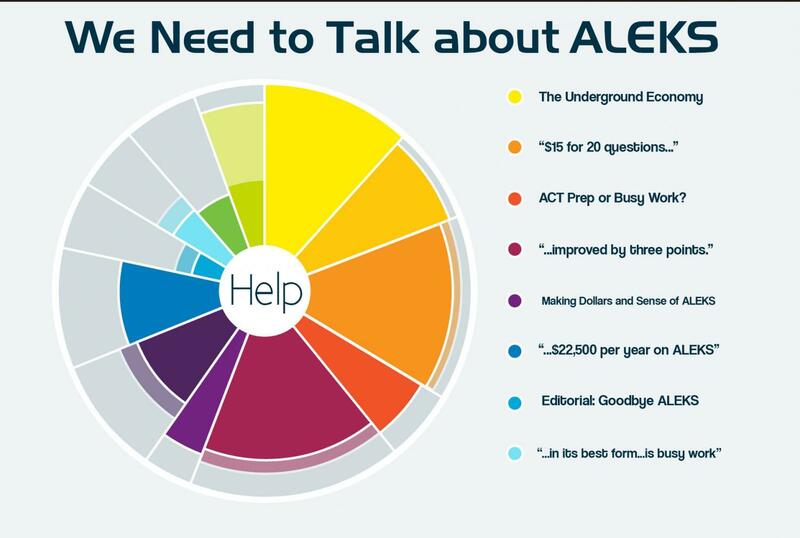 For enterprising students and students in need, ALEKS topics are being bought and sold, with almost one in five students admitting that they’ve either paid students to do their ALEKS, or been paid. And that’s the ones who admitted it. Over the last month, Speaking Eagle investigated this phenomenon: first, we asked who’s buying and selling ALEKS, why, and for how much? Also, we talked to nearly the entire math department, to see how much they’re aware of it and how it affects their view of ALEKS. We also went into the finances of ALEKS: who’s paying for it, and how much? (Answer: almost $25,000 per year.) Finally, Speaking Eagle staff weighs in to say: maybe it’s time for ALEKS to go. Students at Juan Diego are taking advantage of ALEKS and offering to do their peers' work for a fee, resulting in a market centered around the math program. Would you pay another student to do your math homework? Many students at Juan Diego do, and it has evolved over the years into an entire economy centered around the math program ALEKS. Classmates are willing to pay each other to do their work on ALEKS for many reasons, and many students are profiting off their peers who are desperately trying to save their grade. ALEKS services have become a significant economy within the school and has given students the opportunity to make “around $200 or more per semester,” according to our first source. A second student, who does ALEKS about 3-4 times a week, says they make about $170 each week that they do it. This economy surrounding ALEKS has grown to the point where students are making major profit off of it by taking advantage of this opportunity. It has even gotten to a point where teachers are aware of this economy; Mrs. Sawyer has even stated that she is aware that her own daughter used to do other students’ ALEKS work for a fee. Price ranges for ALEKS services are all across the spectrum. Some people are expensive compared to others, and sometimes prices depend on the workload. Our third source stated that they charge “$1 to $1.50 [per topic] depending on the class they are in”. The second source said that their prices vary depending on what topics they are being asked to do, as well as whether or not they know the individual asking for help. The same source also stated that if they are asked to complete an assignment rather than topics, they will charge $15 for less than 20 questions, and $25 for anything above 20 questions. Our second source said they began doing their friends’ homework in 7th grade for free, then a friend came to them and suggested they start charging others. For our first source, a former Juan Diego student who at first just wanted to help their friends, the realization of their financial opportunity came once about 20 people began asking them to do their work as well. Often times people begin to do their friends’ ALEKS work at no cost, then realize that they have an opportunity to make money off of it. Although there are many students who are benefiting from either people paying for them or from the services they are paying for, some students, such as a fourth source we talked to, have never cheated on their ALEKS work, and believe that the program truly is helpful. The majority of students that were polled have heard of this underground economy, and although less than 20% of them admit to taking some part in it, the number of students that are aware of this market poses some questions about the usefulness of the program: just how much do teachers know about this phenomenon? ACT Prep or Busy Work? To the Math department, ALEKS is improving scores, even if teachers know it's not always original work. ALEKS is a math program that was implemented at Juan Diego six years ago, and according to math teachers, it has improved our ACT scores by three points on average. Maybe this is why teachers see value in ALEKS, even if they know students aren’t always the ones doing it. “I think the most powerful indicator (to prove that ALEKS works) is since we’ve started implementing ALEKS, our ACT score have steadily increased,” Juan Diego math teacher and department chair Stephanie Sawyer said. Colleges put all kinds of stress on ACT scores. The lowest that a math score can be is often 18, and even then, that score is rare for colleges to accept. Juan Diego’s math ACT average is 26, and according to Sawyer, with ALEKS being used correctly, scores will go up. All math teachers contacted knew that the program was sometimes misused, but dismissed it as something unavoidable. “Obviously some kids misuse it, but kids misuse anything, paper homework, book homework, online homework…” Juan Diego Algebra II teacher Brewster Christiansen said. “Kids are always able to misuse that and that goes back to before the internet.” Christiansen continued. ALEKS gives a unique way to cheat, along with Mathway, Slater, and others. Ultimately, the feeling in the math department is that when ALEKS is used right, it can help the student get the most out of any math class, regardless of any payments that may be happening. Where the ALEKS funding comes from and how it could be spent it differently. After investigation, Speaking Eagle staff feels it's time for ALEKS to go. Part of being a Juan Diego student is understanding the underground economy of ALEKS. The program, intended to improve our math skills, is being morphed into a market where there is someone wanting to do your ALEKS and they’re making quite a bit of money doing it. The staff at Speaking Eagle feel that ALEKS is not being used for its intended purpose and either needs to be overhauled or ended. Students are paying each other to do these topics, which results in more money being put down the drain. If JD is paying tens of thousands of dollars for ALEKS, only to have a significant portion of students pay each other to do this ALEKS, then in effect JD is paying tens of thousands of dollars, at least partially, for students to pay each other. This cannot be the intended effect. 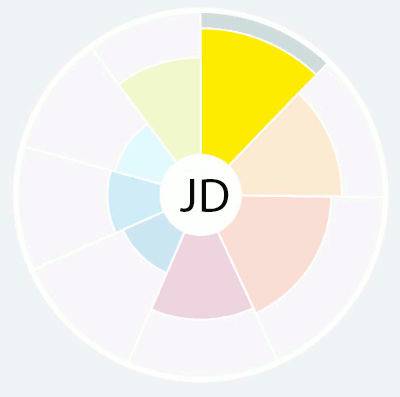 As shown in the previous infographic, Juan Diego is in charge of a great deal of funds that are meant to be used improving STEM programs at JD through the AlSam grant. We think that the money from the Skaggs should be put to more significant things that have real benefits. For example, that money that could be put to better use, such as more wifi routers, so we get constant connection in all of our classes, or devices for students. Theoretically, say every student did their own topics – there are still so many ways this program is flawed. The only way to pass a topic is to get multiple problems in a row correct. For a student that doesn’t fully understand the topic, it is frustrating and virtually impossible to do. This encourages students to use dishonest ways to get this work done, through programs such as “Mathway”, which don’t give any benefit to the student. Beyond this, students have plenty of other homework that needs to get done, whether in AP classes or not. When ALEKS is added, it feels like busy work we put it to the side and procrastinate until very last minute. Students usually don’t get it all done and/or pay other students to do their topics. The students that are getting paid to do topics are students in much higher classes who have no problem doing the ALEKS. Because it is so easy to get someone to do your ALEKS, there is no purpose in doing it on your own, unless you don’t have money to pay. Either changes need to happen, or honestly it is time to do away with ALEKS, because in its best form is seems to be busy work that students muddle through, and at worst, students aren’t even doing it, and it monetizes cheating. Though we the Speaking Eagle staff have a better understanding of why ALEKS was turned to in the first place, ultimately the objective of ALEKS has been lost. Interesting article. 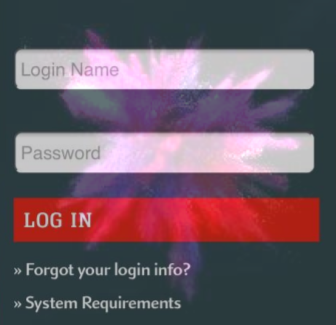 I work for a company that offers a service similar to Aleks, and we have spent a lot of time working on anti-cheating measures that we’ve noticed most online systems do not have. Aleks is a big competitor for us in the k-12 space and it is actually kind of shocking they haven’t thought of this issue. I am curious about what replaced Aleks in your school, or if they just decided to do away with it entirely.